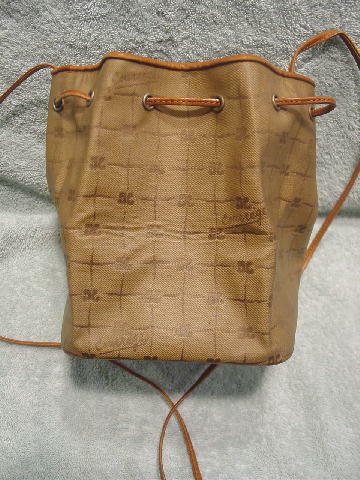 This manmade material small tote bag has a caramel leather drawstring and holder closure and edging. 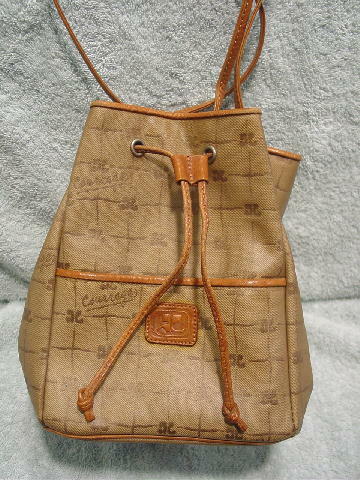 It's in a light brown with the Courreges logo and line pattern in dark brown. Courreges is also written quite a few times all over the surface. The front has a 3 3/4" high open compartment with a leather logo patch on the front. 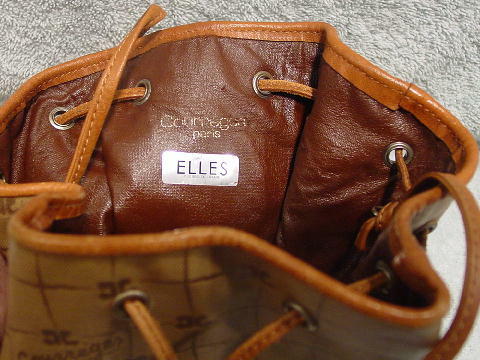 There is a dark reddish-brown lining with Courreges Paris in gold-tone letters and a silver-tone tag that says Elles in large black letters and below that in smaller letters Plus Beau De Laffaire. There is a 52" long by 1/4" wide shoulder strap. 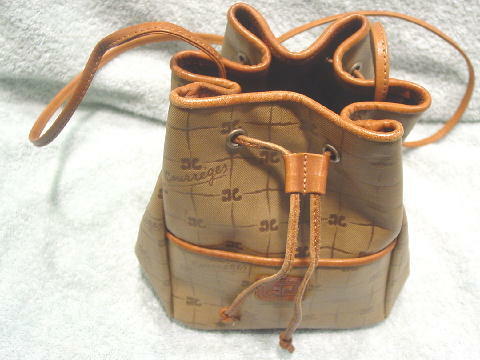 The back and sides have wrinkles.